Interested in organic food or confused by what it means? 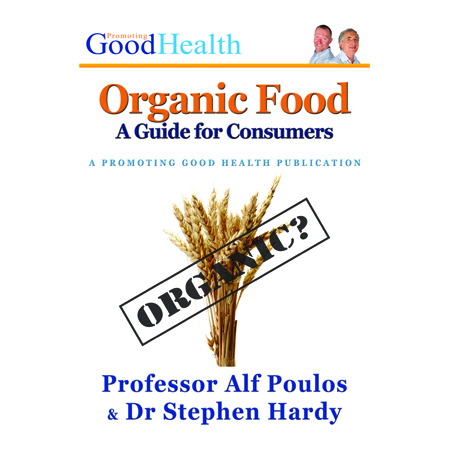 In “Organic Food: A Guide for Consumers”, Professor Alf Poulos and Dr Stephen Hardy clearly explain what organic food is and, just as importantly, what it isn’t. Written for the concerned and interested consumer who wants practical guidance when shopping, “Organic Food: A Guide for Consumers” talks about what the term “organic” means; What labels to look out for when buying organic produce; What organic food has in it and what it doesn’t; What the philosophy is behind organic food; Where you can get it and how to tell if something really is organic. Those wanting more detail are not ignored either, with easy to understand explanations of the scientific evidence; a comprehensive reference list and links to useful websites. “Organic Food: A Guide for Consumers” is an indispensable reference that deserves a place on everyone’s bookshelf next to the recipe books. Don’t leave home without it!